5 700 Kč tax incl. 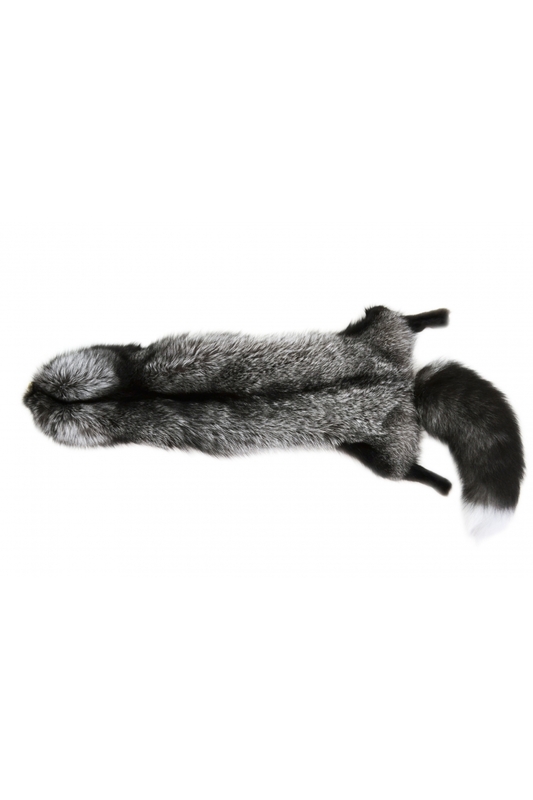 Boa made of natural silver fox fur, made from specially selected skins of the best quality. It is a whole skin (without the head and front paws). In the head area is a small decorative carabiner, which allows you to close the product in an arched scarf, fastening it to one of the legs. This will help you to keep it on your shoulders. If you want, you can use th tail, like separate accessory. For the summer period, fur products must be stored in a box.